GIVEAWAY: Two Tix to the Parlour Magazine Fashion Show! We've missed you Parlour Magazine! 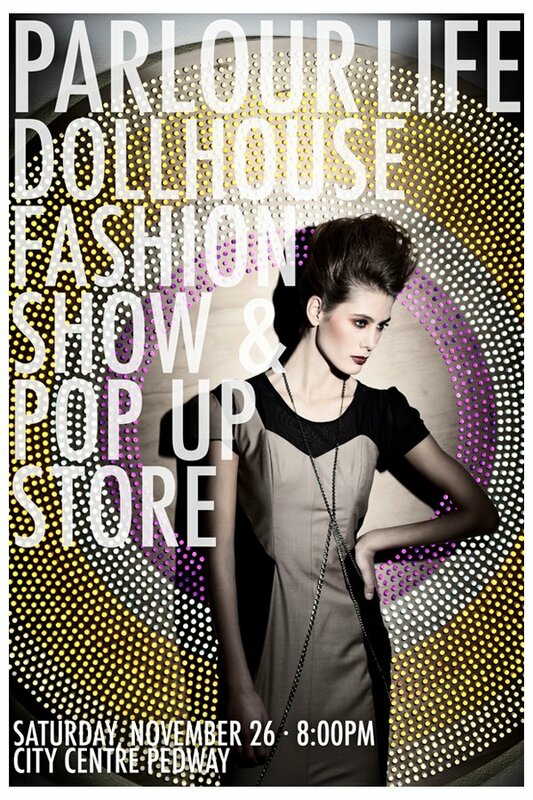 Edmonton's prettiest publication is back from a yearlong hiatus ready to party in style at the Parlour Life Dollhouse Fashion Show & Pop Up Store. There will be treats, beats and of course fashion feats. Featured designers will include big E-City names Sig Neigum, Genette Salgado and Malorie Urbanovitch. Stores Coup Garment Boutique, Gravity Pope and Urban Fashion Group will also be there to satisfy your fashion hunger. WIN TWO TICKETS TO THE EVENT! 3. Leave a comment on this post with your email address saying why you love Dress Me Dearly! Good luck! Contest closes Wednesday, November 23, 2011 at midnight. Wnner will be chosen at random. Winner will receive two tickets to the event. Thank you to Parlour Magazine. I love the outfit posts and style tips. i already like parlour mag and now I like you too!! I like how clean and simple your blog is; and all the lovely fashion you tempt us with! I love that you let us know where all the great sales are going to be. I also love all the fashion tips, and manly Mondays are great. Now if I could convince my husband to have a bit more style!